President of Russia Vladimir Putin met with Supreme Leader and spiritual leader of the Islamic Republic of Iran Ayatollah Ali Khamenei during his working visit to Iran. 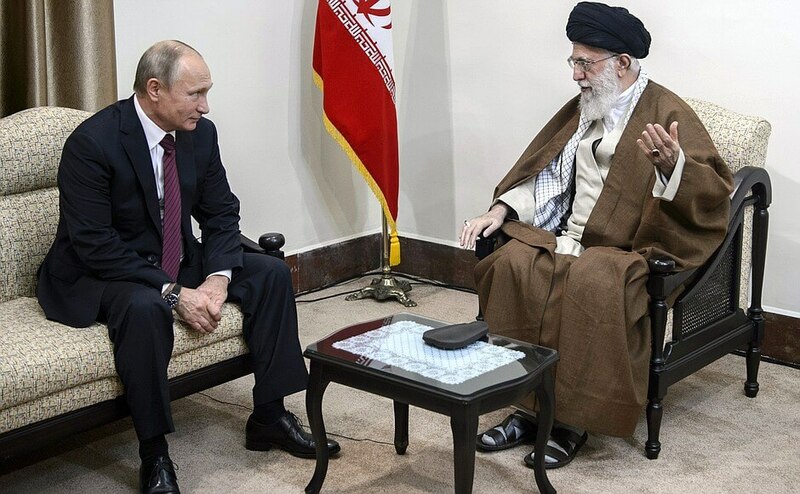 Vladimir Putin with Supreme Leader and spiritual leader of the Islamic Republic of Iran Ayatollah Ali Khamenei. The conversation took place after the meeting between Russian President Vladimir Putin and President of Iran Hassan Rouhani in Tehran. Vladimir Putin and Ayatollah Ali Khamenei. Islamic Republic of Iran. 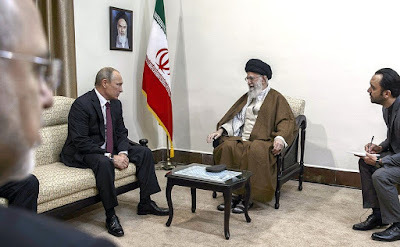 Russian President with Supreme Leader and spiritual leader of the Islamic Republic of Iran. 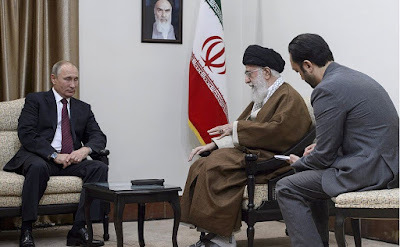 Vladimir Putin and spiritual leader of the Islamic Republic of Iran Ayatollah Ali Khamenei. 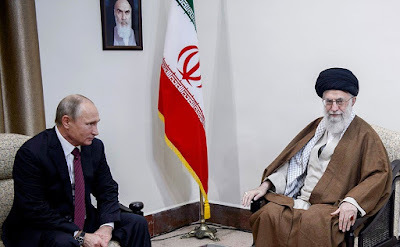 0 Comment to "Vladimir Putin met with Ali Khamenei"